The preservation of a disappearing landscape through imagery on functional ceramics is the purpose of Matthew’s artwork. Inspired by the regionalist painters of the early 20th century who sought to document the rural landscapes of America, he sees himself as a modern day regionalist working with clay. He makes pottery decorated with the landscapes, flora, and fauna of Minnesota. This region is being vastly altered by commercial development and urban sprawl, forever changing its natural character. His hope is that the daily use of his pots will be a gentle reminder to the public of the vanishing and ever changing habitats around us. 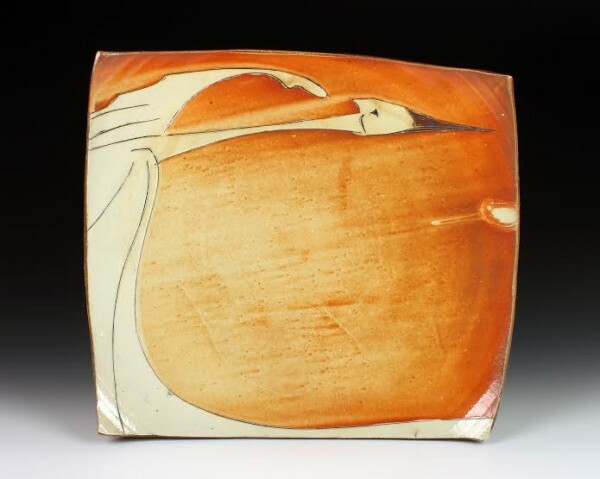 His work is created from stoneware and often altered in the wet stage, then fired in a soda kiln. This firing process not only creates a very durable object, it imbues the work with great variation and depth, creating a natural and mysterious surface of a warm and earthy palette. The surface composition is created from a combination of slips, stains and glazes. He primarily uses ash glazes, as its main ingredient comes from the very landscape he is drawing inspiration.